It’s difficult to admit we don’t know something. In fact, it’s probably been ingrained in us to, “Fake it until we make it.” Eventually, we may have skirted around the things we didn’t know until suddenly we learned that faking isn’t always the best practice. This past week, I started reading the book, The Shack. When I stumbled across unfamiliar words like reverie, ubiquitous, and ethereal, it was easy to look up the definitions with the e-reader and carry on reading with minimal interruptions. The only thing which is bothersome to me is the e-reader doesn’t provide an audio play to hear the pronunciation. Sure there’s a pronunciation key with symbols to sound out the vowels and consonants. That works great for sounding them in isolation but when it comes to pulling the sounds together to ensure you accent the correct syllable that presents a whole different level of difficulty. That’s why I find it so much easier to simply ask someone who knows or use an app. After I’ve heard the word repeatedly there’s a good chance I can say the word correctly. One word that baffled me forever was the word, “chasm”. Just looking at the word at first glance, I thought “ch” should be a pronounced “ch” as in “church”. Wrong! Because you are smarter than I am, you probably knew “ch” was a “k” sound and the word is pronounced “kæzəm”. It wasn’t enough to hear the word once. Since “chasm” wasn’t a word I used often, or had even heard or seen often, I would forget. Do you have a problem with your memory like I do? I had to repeatedly learn this word. It was only recently that I finally mastered it. This blog isn’t intended to be a lesson in reading and writing literacy but in literacy of a different type: financial literacy. 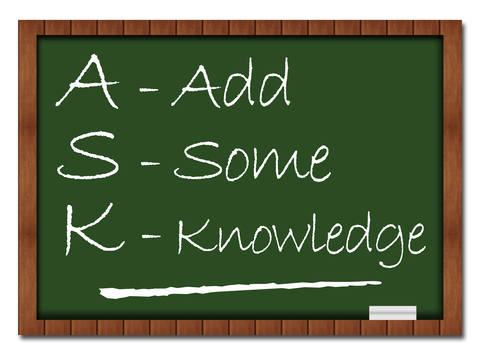 The intention is to give you permission to ask questions without fear of being ridiculed for wanting to learn. Understanding the different financial products and services is important. Learning is the only way to get smarter about money matters you don’t understand. It’s probably how the title to the website, Get Smarter About Money earned its reputation. We live in a world where there is so much we don’t know or understand that we have to sift out the things that are important in our world, not the world. You need to know what applies to you and what is important to know. Financial literacy can be and is confusing to some. Underpinning the need to learn the appropriate steps to fulfill your dreams is a sure way to make them a reality. I shared my inability to pronounce “new cumbersome words” to provide a perspective that we all struggle with things which are foreign to us. Even though we may have a general idea, it’s linking the information to our unique situation which may be tricky. A perfect example is deciding whether your retirement savings should be invested using an RRSP (Registered Retirement Savings Plan) or a TFSA (Tax-Free Savings Account). I won’t immediately know the best option for you until we meet to review your whole picture. That’s when we pull your story together much like stringing the consonants and vowels together to pronounce a word. The chasm between knowing and not knowing will be closed. As you browse through the blogs shared this past year or the information found at the website, Get Smarter About Money, don’t be afraid to ask a CERTIFIED FINANCIAL PLANNER® professional for help. Give yourself permission to seek the knowledge you need. In recognition of the one year anniversary of this blog website, a sincere “Thank You” goes to you, my readers. When I started writing, I wasn’t sure exactly what to expect. Writing sounds fun. 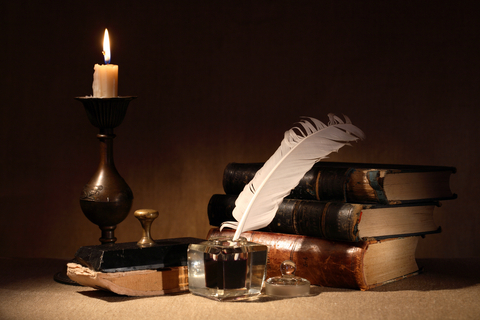 At the same time making the commitment to write weekly has been a huge undertaking. The gratification comes in seeing the blog posts in print. I will admit that by far the greatest benefit is derived when I witness first-hand how the information helps you. “Money blogs” are not necessarily the most glamorous ones to read. When someone derives value and figures out even the tiniest way to improve their financial situation, then a significant benefit has been achieved. This motivates me to write. My priority for writing has always been to educate you. The financial world is complex. My objective has been to help you better understand the different aspects of financial planning. I often comment that once you understand the “Why”, you have a better chance of applying the strategy. We as adults need to copy children who consistently ask “Why?” Specific reasons are associated with different strategies. The strategies are different when you experience a new life event: marriage, birth of a child, retirement and the worst case scenario, death of a spouse. Suddenly, you find yourself in a new world of financial circumstances. Understanding “why” helps lead to “how”. The ideas for my blogs are generated from conversations shared with clients. The situations are real. If one person or a couple have these questions, there’s a good chance that others face similar circumstances. Having one common place to review the content helps reinforce the wide variety of topics discussed during the span of a two-hour meeting. These blogs act as a useful resource. Writing has sharpened my communication skills. I stumbled across this quote from Albert Einstein, “If you can’t explain it simply, you don’t understand it well enough.” My attempt to explain complex matters in plain and clear language has always been my goal. Hunting for ways to associate matters which make sense in your world removes the confusion. A good example of this was when I wrote, Can Investing Really Be Easy. I also thrive on passion. With thirty-five years in the financial industry, I have found my sweet spot in being both a CERTIFIED FINANCIAL PLANNER® professional and motivational teacher. Helping you become financially secure and fulfilling your goals, dreams and aspirations, whatever they may be, are at the top of my priority list. If my blogs help you achieve this, then my reward comes from your success. This past year I was fortunate to have one guest blogger. Ryan Kitchen shared his post, Tax Complications Upon the Death of a Farmer. My future plans are to invite other bloggers to share their knowledge with us. The “tax and estate planning” areas are complex, with each having its unique challenges. Often we learn from our mistakes but we also learn from the mistakes of others. Every writer has their own unique perspective on a topic. We can glean information that we may need to implement in our circumstances. I look forward to another year of blog posts. I do not expect to run out of ideas; however, I am asking you to feed me any thoughts or ideas you have. Tell me what issues are troubling or confusing you. There’s always an answer and solution that’s right for you. We will find “it”. Becoming a home owner may sound glorious; however owning a home comes with a cost. Quickly jumping into the deal simply because it seems like “the RIGHT thing to do” does not necessarily mean it is. If you buy prematurely and discover the costs are overwhelming, you may not be able to sell and recoup your investment. One way to be certain you are ready to become a home owner is to do your homework. The best information and worksheets are found at the Canadian Mortgage and Housing Corporation website. Because a home is one of the biggest purchases you will make in a lifetime, taking time to research and understand the steps will be worth the effort. CMHC’s booklet, “Home Buying Step by Step” is easily obtained in both print or download format. Click here to receive a copy. Knowing the different types of costs and expenses associated with owning a home is important. There’s more to swapping a rent expense for a mortgage payment. Categorizing the costs into three separate compartments will help you determine the money required to finance the major purchase. First are the upfront costs, the money required to secure the purchase. Second will be the ongoing mortgage payments and utilities expenses. Lastly, the cost of regular maintenance and the “renovations” which will turn the home into your dream castle need to be considered. Using The Home Purchase Cost Estimate worksheet will safeguard you from excluding any important items. Another valuable tool is the word glossary to familiarize you with the terminology. Understanding the industry’s language maximizes your understanding of all aspects of your purchase. Whether it is the difference between the mortgage term and amortization period or between a closed and open mortgage, the word glossary helps eliminate any confusion encountered in your research. Speaking from experience, getting tripped-up by terminology is easy. You may think mortgage life insurance and mortgage loan insurance are one and the same but they’re not. In your conversations with any professional, always ask for clarification if you are ever in doubt. When contemplating your home purchase, you will be working with experts from “start to finish”. Another useful worksheet, Your Team of Professionals, will be invaluable. Your team will consist of a lawyer, realtor, mortgage specialist, property insurance agent, life insurance broker and perhaps even a home inspector or appraiser. Creating and maintaining an updated contact list will be convenient for you. In last week’s blog the discussion was about the benefits of a larger down payment. This week the focus now takes a peek at the big picture. The concept of budgeting is always a part of the discussion when people are considering a home purchase. The final decision, whether to buy or not to buy, will depend on what you can afford in both the purchase price and mortgage payment. Once the payment is known then the rest is in the math. First, the payment calculation must align with the industry’s guidelines as explained in the blog, Borrowing Money is like Jumping Hurdles. Second, a compromise may be required to determine which lifestyle expenses you are willing to give-up in order to take-on a mortgage payment. CMHC offers two specific worksheets, Current Household Budget and Household Budget As Homeowner to analyze your present and future spending. Tallying the costs will answer the question of whether or not you can afford to buy a home at this time. The recommendation I quite often make to clients is to “play house” to determine whether they can manage all the costs. As children, we always loved to pretend. You might like to pretend you are home owners before you assume the actual role. Deposit the difference between your current household budget and the anticipated homeowner household budget into a separate savings account. Since you will incur these expenses as a home owner, you are both practicing and preparing for the change. If you are managing your finances effectively and avoiding any shortfall, you will have the proof needed to support your decision. Becoming a home owner will then be a rewarding experience because you have adequately done your homework. Should I Use my RRSP Savings for the Down Payment? One “hot” topic drawing various opinions is whether to withdraw RRSP savings for the down payment towards the purchase of a home. Some lead you to believe when you do, you are robbing your retirement fund. I believe the focus should be to find the most effective way to owning your dream home. If “effectiveness” is the optimal strategy, what does that mean in terms of cost? Whether you are in the lowest or highest tax bracket, don’t ignore the fact that the Home Buyer’s Plan can save you money in interest costs. Money deposited to an RRSP can be withdrawn under the Home Buyer’s Plan without any immediate tax consequences. Because RRSP contributions reduce your taxable income, you receive a tax refund when you file a tax return. Whether your marginal tax rate is 26% or 44%, you have an opportunity to receive extra cash simply because you paid taxes. The Home Buyer’s Plan is designed so that RRSPs withdrawn using this plan must be repaid over 15 years. You may be swayed into believing you cannot afford to have an additional payment. Seeing the math may prove otherwise. The maximum amount withdrawn under the Home Buyer’s Plan is $25,000. This translates into an annual payment of $1,667 (or $139 per month). The worst case scenario is if the amount isn’t repaid it’s declared as income for that year. Using a marginal tax rate of 26%, the tax would be $433. Whatever your reason for a cash shortfall in any particular year, coming up with $433 for taxes may be easier than $1,667. Everyone’s circumstances are different. If yours are entirely opposite and you have the ability to repay more to Home Buyer's Plan, you are not penalized. The significant benefit for having a greater down payment is to lower your mortgage payments. This means you pay less interest over the life of the mortgage. The ripple effect is you will have more money for other “things”. When you become a home owner a new list of expenses is born: property taxes, home insurance, power, heating, water and sewer. Some of these expenses existed when you rented an apartment or a home but now there are more. They all contribute to the cost of being a homeowner. Another important benefit for having a greater down payment is less reliance on CMHC (Canada Mortgage and Housing Corporation) to insure your mortgage. These insurance premiums are calculated on the amount you borrow and are then added to the principal of your mortgage. 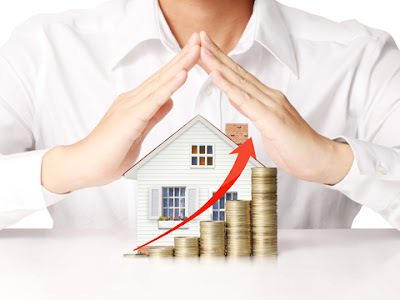 This link provides specific information on the cost of CMHC Mortgage Insurance to show the more you have invested into the property the lower the premium on the total loan. Ideally, you would want to strive to save 20% for your down payment to avoid incurring CMHC fees. The disadvantage with having only saved 5% for your down payment is the high CMHC insurance premium of 3.60%. Basically, if you have saved only the minimum 5%, you have lost your down payment. This illustration shows how this is true for a home priced at $300,000. 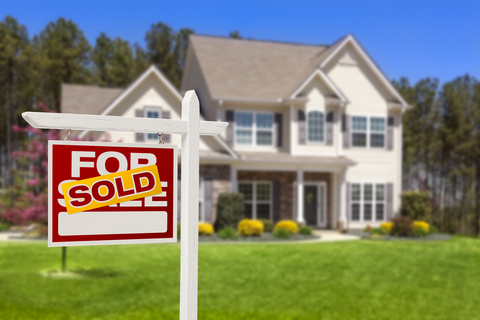 If it is important to you to become a homeowner immediately, the cost of $10,260 may not appear significant. However, if you are in the positon where you can wait and save using an RRSP (Registered Retirement Savings) and TFSA (Tax Free Savings Account), you will achieve your goal of creating a tax saving, having a larger down payment and avoiding CMHC fees. Imagine two couples with exactly the same incomes buying homes for the same price. One couple has a down payment of 20% while the other has a down payment of 5%. Which couple would you rather be? Mortgage specialists and realtors are anxious to get you into a home. Many will use the convincing statement, “Why rent when you can own?” Patiently saving for your down payment may not be easy but using this mortgage calculator will help you see why doing so is worth the wait. When you compare payment amounts using an interest rate of 2.85%, the mortgage for $240,000 will have a payment of $1,117.40/monthly compared to the mortgage for $295,260 with a payment of $1,374.68/monthly. The difference can be used towards repaying the Home Buyer’s Plan or utility bills. However, the true significance is the interest saving over an amortization period of 25 years. Do Joint Expenses Require Joint Accounts? You may have heard people off-handedly quote, “What’s yours is mine, and what’s mine is mine,” which is a humorous way of saying, “Everything belongs to me.” When the discussion is about money, the ultimate strategy is to work together towards shared goals. Many newlywed couples or common-law partners who initially believe that all the money should be combined may find their partners don’t agree. Finding the “perfect” solution, if there is such a thing, should be the game plan in order to avoid disagreements. The above Cash Management Map shared in the previous blog, Why Do I Need a Budget, looks like the perfect fit for a couple with joint incomes. From an ideal financial planning strategy, the combined incomes flow to one common account and are then distributed to fund savings, debt, and lifestyle expenses. The map looks easy and appears quite simple to follow. However, the strategy may be unrealistic for some. The tricky part then is finding a strategy that will work. If you are not in favor of combining your incomes when sharing household expenses, here are some alternate solutions. (1) Nothing has to change. Before you entered into a relationship, you both paid monthly rent and utility payments. Set-up a jointly-held "house expense account"; deposit your usual monthly amount; and then treat the excess cash as "savings" towards your future home purchase. If you purchased a home together and are currently managing mortgage payments, then the excess money could be used for future home renovations. Add monthly expenses: rent and utility bills. (Include estimated groceries and other household expense such as toilet paper and light bulbs.) Set-up a jointly-held "house expense account" and pay all related expenses from this account. If your intentions are to eventually own a home together, then you may individually or jointly deposit money into a “house savings”. (3) Split expenses according to your income. Add monthly expenses: rent, utility bills and other items which should be paid jointly. Determine the percentage each should pay according to monthly income. If one person earns more money, then he/she contributes more to the monthly expenses. Use a joint account for the monthly deposits and set up automatic payments for the expenses (i.e. rent, utility bills). If the intentions are to buy a house, as suggested previously, deposit money into an individual or joint savings account. Tom and Marie determine their monthly costs are $1,500. If Tom's income is $3,000/monthly; and Marie’s is $2,000/monthly. Their combined income is $5,000 ($3,000+$2,000). Tom's share of the costs is 60% ($3,000/$5000) and Marie's is 40% ($2,000/$5,000). Therefore, Tom pays $900 (60% x $1,500) and Marie pays $600 (40% x $1,500). The top three suggestions are provided for your consideration. In the end, you must do what works best for you. Both may choose to contribute to the shelter (housing) costs since you were already doing so. However, couples are also know to divvy the expenses and can reach a satisfactory decision on who’s responsible for specific expenses. If only things were that simple. When you track expenses, your list isn’t confined to only home-related expenses. Food, gifts, entertainment, travel and vacation are among the extras. Now what? If you have resolved to handle your personal expenses and opt to take turns paying for vacations, then you achieve the same results as though you had a joint account. 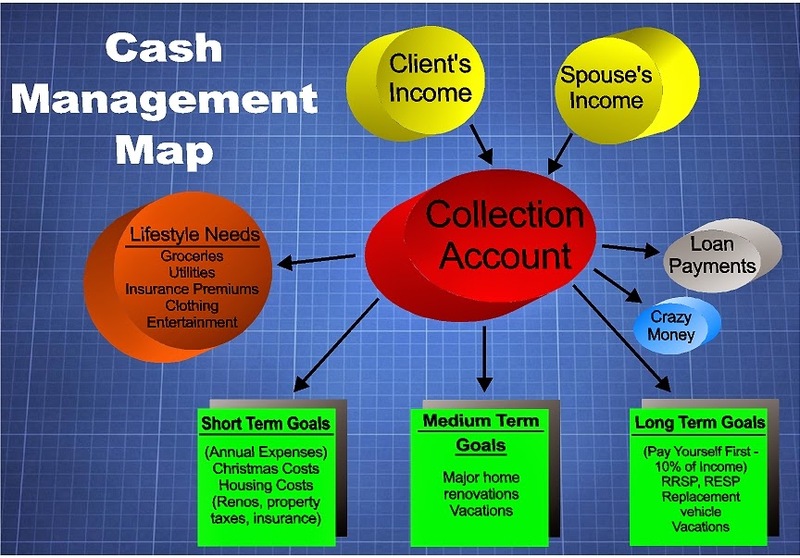 However you choose to operate your accounts as a couple, you need to identify both your personal and joint goals. If you don’t take this step together, it’s the same as flying a plane with one engine. You may not arrive at your destination. Bounce ideas off each other to determine the best method to share expenses. Having a heart-to-heart conversation will ensure you are on the same track. Being honest is the only way to prevent the arguments which happen so often over money.